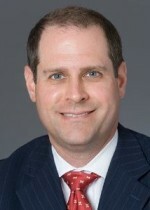 New York-based Anchin Block & Anchin LLP (FY14 net revenue of $92 million) has admitted Jared Feldman to co-practice leader of Anchin Private Client, a specialty group within the firm devoted to working with affluent clients. Feldman specializes in providing a wide array of accounting tax, advisory and family office services for high-net-worth individuals including financial services and corporate executives, owners of privately held companies and established family offices. Feldman joins Ehud (Udi) Sadan as co-practice leader. Anchin Private Client is committed to expanding its resources as the needs of affluent clients grow in scope and complexity. The Private Client Group plans to increase the current space, doubling the area occupied by practice at the firm’s headquarters in New York. Anchin Private Client has served family offices, high-net-worth individuals and private foundations for almost a century, employing a holistic approach to help simplify clients’ lives, allowing them to better pursue their interests and passions. Core services include business management and family office support, tax planning and compliance, accounting and estate planning. Dianne Guensberg has joined Chicago-based Grant Thornton LLP (FY14 net revenue of $1.4 billion) as a managing director in its public sector assurance practice. Guensberg will serve public sector audit clients, bringing with her decades of experience from the U.S. Government Accountability Office (GAO). Guensberg joined the GAO in 1980, and rose through the ranks to assistant director, with accountability for financial statement audits of the Schedules of Federal Debt, IRS, U.S. Air Force and Customs Service, and federal pension plans. 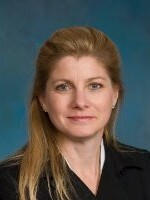 She also served as a professional staff member for committees and subcommittees in the U.S. House of Representatives and Senate, and was a member of Federal Accounting Standards Advisory Board’s Cost Management Standards Task Force, which developed the managerial cost accounting standards for the federal government. Milwaukee-based Wipfli LLP (FY15 net revenue of $203.7 million) announced that it has expanded its tax group with the recent addition of industry veteran Jeff Fritz, who will join the partnership. Drawing from more than 28 years of experience in public accounting with Deloitte, Fritz will provide tax consulting and advisory services to private equity, family-owned and public companies ranging in size from start-ups through multi-billion in revenue. He will also be responsible for leading tax planning and tax compliance services for a variety of clients including corporations, partnerships, limited liability companies and their individual owners and stakeholders. Fritz consults with entities and their owners on a variety of tax matters including accounting methods, structuring and transactions, guiding clients both in the assessment of opportunities and through challenging business decisions. He also coordinates the services of tax specialists to assist in areas such as SALT, international tax and employee benefits. Fritz’s specialties include providing flow-through tax solutions, tax planning, structuring related to mergers and acquisitions, tax provision analysis under ASC 740, tax incentives for manufacturers and developers, and IRS and state examinations. Throughout his career, he has focused on serving companies in the manufacturing and distribution industry. 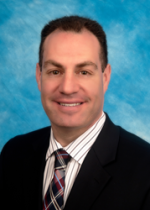 New York-based Grassi & Co. (FY15 net revenue of $45.6 million) announced that Adam Schuman has joined the firm as the chief growth officer based out of the Jericho, N.Y., office. Schuman brings more than 20 years of in-depth knowledge of proven marketing and business development principles resulting in increased sales, profit and growth. He is responsible for advertising, business planning and development, communications, marketing plans, new product and service launches, public relations, social media, special events and strategic planning. 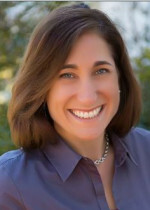 Schuman was formerly the director of marketing and business development and acting CMO at Blank Rome LLP, an AmLaw 100 Law Firm. Gaithersburg, Md.-based DeLeon & Stang Certified Public Accountants and Advisors announced that they have been nationally ranked as a top workplace for flexibility by Fortune. Fortune compiled “50 Best Workplaces for Flexibility,” a national ranking of companies and firms produced from input provided by anonymous employee surveys. DeLeon & Stang is ranked No. 30 on the list. For more information on the “50 Best Workplaces for Flexibility,” visit: www.fortune.com. Miami-based Berkowitz Pollack Brant Advisors and Accountant’s (FY14 net revenue of $44.7 million) Barry Brant, director of tax, consulting and international services, has been honored by the International Business Committee of the Greater Miami Chamber of Commerce as top international CPA. Brant has been a leader in international tax services for more than 30 years. He helped build the firm’s practice and reputation. An in-demand consultant, he oversees a team of more than 25 international tax specialists who practice in 18 languages and serve clients around the globe. The firm’s international tax and consulting practitioners understand that high-net-worth, international families face a complicated mix of financial issues that require creative thinking, an understanding of tax laws in multiple jurisdictions and the ability to develop comprehensive planning structures that meet desired goals. They follow Brant’s example by applying international tax expertise to help individuals, companies and families, including a number of Fortune 100 families, develop comprehensive estate plans that manage and mitigate the challenges of navigating different tax regimes. New York-based PKF O’Connor Davies (FY14 net revenue of $108 million) announced that it has named Lawrence Baye a principal and John Madden a director of the firm’s risk advisory practice. These latest hires reinforce the firm’s commitment to recruiting top industry and practice experts as part of the firm’s ongoing growth initiative, which has added more than 150 associates in the last two years. Baye was the longest tenured member of the advisory services practice at a top CPA firm where he launched and directed the Northeast region’s SOX practice, which evolved into the governance, risk and compliance group and helped drive robust revenue growth in the business advisory services group. 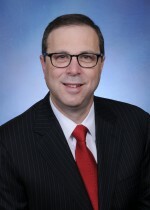 He also has provided management consulting services in the areas of performance improvement and information technology to public companies, private businesses, not-for-profits and New York state government agencies. He is a regular speaker at industry forums and an educator who has held adjunct teaching positions at several distinguished academic institutions. Madden joins PKF O’Connor Davies after spearheading a successful overhaul of one of the country’s largest hotel chain’s vulnerability management and cybersecurity protections. His industry experience in managing technological threats gives him a deep expertise in identifying and mitigating risks. Accomplishments: I was fortunate to find a great amount of opportunity early in my career. As director of marketing at SS&G, my team won many awards both inside and outside the profession for creativity, growth and innovation. I worked with some of the top firms in the country as part of The Leading Edge Alliance, and contributed to one of the most progressive CPA firm cultures in the profession under the leadership of Gary Shamis. As executive director of The Advisory Board, which included Gary as well as other top consultants and thought leaders, we created and built many educational programs, including the flagship Winning Is Everything Conference. I later transitioned to a not-for-profit association environment at PrimeGlobal, where I used technology to create forums and tools for members to share information and connect with one another, and played a major role in building systems that became the backbone of the North America member service and recruitment platform. While I have only just started with AGN, the new initiatives that we are already putting in place are very exciting. We are rebranding our organization from the inside out – not just a logo, but embracing an avant-garde perspective and creating the “next generation” of CPA firm associations. In just two and a half months, the progress we have made has been outstanding. It’s been a lot of fun! You will be filling Rita Hood’s shoes when she retires this spring. Where do you plan to focus your attention as you work together over the next five months? Growing AGN’s international programs and connecting firms across oceans and borders. Broadening our reach in North America by meeting with prospects and determining potential new members. Rebranding the organization for the next generation of accounting firms, which includes fostering an internationally collaborative culture, developing innovative member tools and implementing cutting-edge technology. Finding new resources and concepts to improve existing member programs. What attracted you to AGN International? This is a unique opportunity to meld the strength and equity of the past with a new direction for the future. AGN’s investment in the long leadership transition demonstrates a commitment to keeping the organization strong and stable – I’ve never seen a group so personally invested in the success and health of an association. At the same time, with a fresh leadership team across the world, AGN is going through a major revitalization with a new brand, a new perspective on globalization and a cutting-edge approach to member service. Thanks to the foresight of the current boards and the innovative perspective of our new international CEO Malcolm Ward, plenty of creativity and opportunity is on the horizon for AGN. You have a strong accounting marketing background. How did that work prepare you to take on the regional director role? It is funny how you look back and everything that you’ve done seems to come together, even though you never planned it that way. Everything that I have done has been about creating an image, a personality, a feeling of community and belonging. At SS&G, it was about gaining the trust and confidence of the partner group and eventually bringing them together for a focused plan. We developed tools to help them promote both themselves as individuals and the firm as a whole. Working with association members is very similar. We support them in developing their own brands and also help them to represent AGN standards and ideals. Working inside a public accounting firm in an operational leadership capacity also taught me how things work – not just ideally, but politically, emotionally, etc. I understand how our members think, what happens internally and – most important – what they want from outside resources like an association. At The Advisory Board I also had the incredible luck to work with some of the most innovative leaders in the profession – people who set trends and act as ambassadors to the future. While much of what I did daily revolved around marketing, programming, client service and sales, I learned so much about leading and running an accounting practice. This has been incredibly helpful in defining and predicting our members needs and areas of opportunity. What is the role of accounting associations today in an increasingly global economy? Ensure quality standards and timely response in all firms across all regions. Approach firm growth, operational and technical education on an international level, with frequent collaboration and interaction. Provide resources not only in a broad geographic pattern, but also with deep service and sector expertise. Demonstrate cultural understanding and work to eliminate organizational bias. Everything we do as an association stems from our primary goal of making our firms stronger: to help them serve their clients better, to operate more efficiently and to be more competitive. What’s the biggest challenge AGN member firms are facing, and how are they working together to address it? Recruiting, developing and retaining quality talent is the No. 1 priority. However, there is strength in numbers, and collectively our membership has created a package to enhance their local compensation packages and internal offerings. Statistically, education and development opportunities are more important than financial compensation to younger generations. AGN offers five levels of highly customized audit and tax training in a small, closed peer group. This starts as early as their first day, and helps develop networking skills and bonds with other AGN colleagues. Plus, while many smaller firms struggle to offer candidates the international intrigue of the Big 4, AGN’s Staff Exchange Program allows members to travel and work in other parts of the world, fulfilling their desire to learn about other cultures. As these staff members grow, they can also develop leadership skills both formally and informally through AGN. Our Partner Development Academy goes far beyond other programs, with multiple levels of engagement and education on a national level for the emerging leader through the managing partner. Additionally, members can sharpen both technical and leadership skills by actively participating in or leading AGN’s national or international sharegroups and committees. Finally, firms need a strong recruiting process and plan. Our Human Resources Sharegroup is a key component to benchmarking, idea sharing and generally ensuring that a member is competitive in the marketplace. Professionals openly share information to help them win candidates and develop strong firm cultures. Any long-term plans or goals for AGN that you’d like to share? Your question is perfectly timed! We actually just returned from our first international retreat for all staff members outside London. It was an incredible week of collaboration, but the most valuable outcome was the focus on creating the next generation of AGN. Anticipating what our firms need and creating it to help them thrive not just next year, but in the next 10 years. Celebrating the unique, individual persona of each firm and helping them to develop and promote their own brands. Thinking differently, and acting unexpectedly. We are developing diagnostics that will provide immediate practice management guidance and using technology to deliver valuable member tools globally. Ensuring quality among our members worldwide, and implementing standards to measure and quantify the results. Finding more forward-thinking, progressive firms to build our reach and our growing list of social communities. This is an incredible period of change and consolidation for not only firms, but for their associations as well. More organizations like ours are joining together in unique and different ways. We’ve recently seen association mergers (and separations) and there will undoubtedly be more to come. With this shifting landscape, I’ll admit that it is an uneasy time to be taking on a leadership role. However, AGN is quietly confident of its ground. Our strategy is to maintain a constant, unrelenting focus on increasing the value that we provide to our members around the world, and with the diagnostics, tools and strategies that we are introducing I am confident not only that we’ll succeed, but thrive. Providence, R.I-based KLR (FY14 net revenue of $35.8 million) announced that June Landry is a winner of the 2016 CMO C-Suite Executive Award. The Providence Business News program recognizes top level C-suite executives in public, private and nonprofit companies who are innovators, trailblazers, role models and leaders in the community. She will be honored at their inaugural event on April 26. “This award truly honors the efforts of a great marketing team and the support and trust of a forward-thinking firm,” says Landry. As a testament to Landry’s achievements and the partners’ confidence in her, she is only the second non-CPA to ever be promoted to principal in the history of the firm. 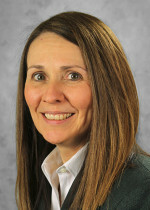 Landry is responsible for the overall development of the marketing and growth strategies at KLR and its related entities. Her responsibilities include institutional firm branding, innovation, service line development, firm growth initiatives and vertical marketing. She also oversees the strategic marketing direction of the firm’s vertical practices including: health care, manufacturing, technology, not-for-profit, hospitality and private equity/venture capital. 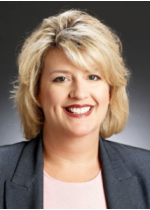 Timonium, Md.-based KatzAbosch (FY14 net revenue of $14.4 million) announced that Arlene Thayer, executive vice president and COO, has been awarded an Executive Management Award by SmartCEO. The award was presented to Thayer at this year’s Executive Management Award (EMA) ceremony on March 24 in Linthicum Heights, Md. The Executive Management Awards program recognizes the leadership and accomplishments of the region’s management all-stars — CFOs, CIOs/CTOs, chief legal officers/general counsels, chief human resources officers and other C-suite executives. These individuals uphold the highest ethics, lead collaboratively and creatively, and enhance and support the organization’s mission. An independent committee of local business leaders reviews the EMA nominations, and winners are chosen based on the quality of the nominations submitted. EMA winners are profiled in the March/April issue of SmartCEO magazine. 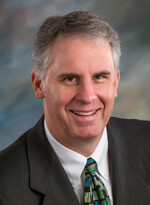 Thayer joined the firm in 2003 and has more than 15 years of industry experience. She creates the necessary people systems crucial to effectively grow the organization and to ensure both financial strength and operating efficiency. As a member of the executive team, Thayer works to promote a success-oriented and accountable environment. Providing leadership and management, she ensures that the firm stays the course toward achieving its strategic objectives. “We are very proud of Arlene and appreciative of the recognition and this prestigious award,” says Mark Cissell, president and CEO of KatzAbosch.